The court found that the right-wing extremist was subjected to “inhuman” and “degrading” treatment. THE NORWEGIAN STATE will appeal an Oslo court ruling that mass murderer Anders Behring Breivik’s solitary confinement in prison constitutes “inhuman” treatment, the government said today. “I have asked the attorney general to appeal the verdict,” Justice Minister Anders Anundsen said in a statement, after the court ruled last week that the state had violated Breivik’s rights under the European Convention on Human Rights. The court found that the right-wing extremist, who has been held apart from other inmates for almost five years after killing 77 people in a gun and bomb rampage in 2011, has been subjected to “inhuman” and “degrading” treatment. It said his “relative” isolation violated Article 3 of the European convention. But Anundsen said the state disagreed with that finding, and would in its appeal contest the court’s interpretation of both the law and evidence. Breivik is serving a maximum 21-year sentence — which can be extended if he is still considered dangerous — for killing eight people in a bombing outside a government building in Oslo and then gunning down another 69, most of them teenagers, at a Labour Youth camp on the island of Utoya on July 22, 2011. In prison, Breivik has three cells at his disposal, which are equipped with two showers, two televisions, an Xbox, a Playstation, a typewriter, books and newspapers. 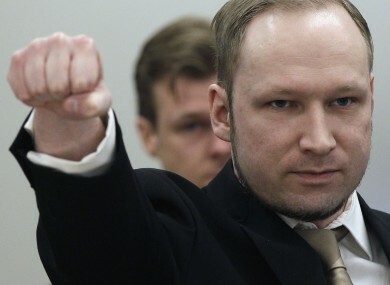 Breivik also challenged restrictions on his mail and prison visits, but both of those points were rejected by the court. The state will send its formal appeal to the court by 22 May at the latest. Email “Norway to appeal mass killer's human rights prison verdict”. Feedback on “Norway to appeal mass killer's human rights prison verdict”.